With so many treatment facilities all over the world, it can be tricky to choose the one that is best for you. Drug and alcohol rehab Thailand stands out amongst the rest for many different reasons. Located in the city of Chiang Mai in Northern Thailand, The Dawn Medical Rehab and Wellness Centre is considered to be the ideal substance and process addiction rehab facility. Let us have a look at what makes The Dawn unique and why it should be at the top of your list when it comes to choosing a drug and alcohol rehab Thailand. The Dawn is an affordable and effective medical rehab and wellness centre that specialises in an array of services and treatment programmes. Situated in the beautiful city of Chiang Mai, The Dawn is the leading wellness retreat and addiction treatment centre in Asia. Aside from offering outstanding rehabilitation and holistic wellness therapies, The Dawn’s clients also get to enjoy Thailand’s world-renowned hospitality and charm. It is important to choose a drug and alcohol rehab Thailand based on the treatment that is offered. The Dawn provides onsite detox, counselling and therapy, along with a variety of complimentary activities. Rehab programmes are not a one-size-fits-all solution, so it is just as important to ensure that the treatment facility that you choose provides highly-personalised treatment plans. Every person has their own requirements, which is why The Dawn’s counsellors work on creating a tailor made plan for each client to guarantee an optimal balance between rehabilitation, work, wellness and leisure. The Dawn uses evidence-based techniques, such as individual and group counselling, to ensure that clients receive the most effective treatment. It also offers an effective blend of Western and Eastern methods in a way that not only improves a person’s symptoms, but also gives them the tools that are essential to living a healthier and happier life. Furthermore, The Dawn’s programme incorporates mindfulness, meditation, yoga, nutritious food, physical activities and relaxing spa and massage therapies to help promote healing and long-term sobriety. While the tools that are used are essential to recovery, the team that implements them are equally as important. The Dawn’s licensed team of addiction professionals have extensive experience in the field of drug and alcohol addiction. These UK and US trained professionals truly understand how to help people in recovery. In fact, several of The Dawn’s staff are recovering addicts as well, which is great for clients to be understood on a personal level. The Dawn’s well-trained and dedicated healthcare professionals are available around-the-clock to make sure that all medical needs are met as they occur. Additionally, The Dawn provides a rare and impressive 1:1 staff to client ratio, which ensures that each client receives excellent individualised treatment. The Dawn offers high-quality, highly-personalised treatments at a fraction of the cost of many Western rehab centres, such as in the UK or Australia. Additionally, all of The Dawn’s alcohol and drug addiction treatment and wellness programmes are all-inclusive. This offers peace of mind since clients will not be surprised with any extra service charges during their stay. The Dawn also encourages loved ones to be involved in recovery, which is why a 3-day family programme is included in the service rate. The family programmes gives family members and loved ones a chance to offer support and learn about addiction. Attending a drug or alcohol rehab Thailand can be a stressful and difficult time, therefore treatment at The Dawn includes the best amenities and services to help ease stress and nourish a person’s body, mind and soul. 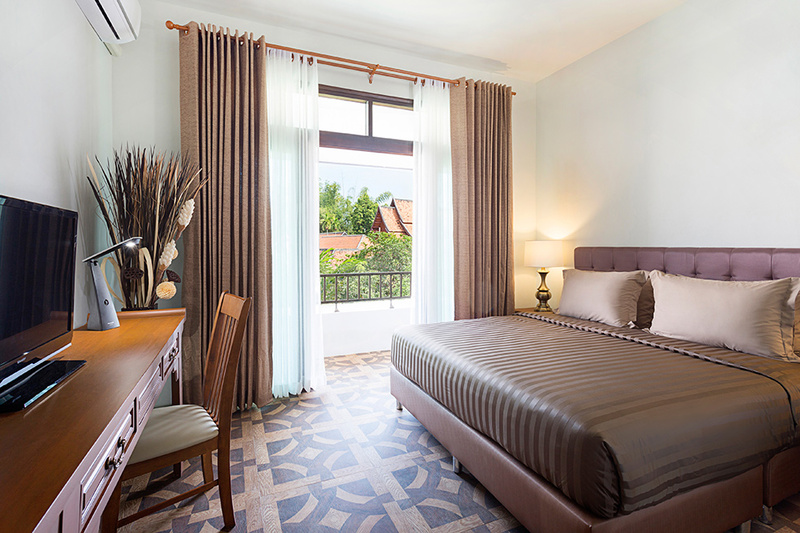 All of The Dawn’s guests are accommodated in private rooms that are decorated in traditional Thai Lanna-style. The resort-like atmosphere offers a gorgeous and peaceful sanctuary that is ideal for relaxation and restoration. Diet plays an important role in long-lasting healing and health. All daily meals are made by onsite chefs and the menu offers a selection of Western and Thai dishes. Thailand is known for its abundance of fresh fruits and vegetables, so clients can be sure that they have access to these healthy treats throughout their stay. The Dawn offers plenty of time for clients to enjoy the beautiful natural surroundings along with weekly excursions that allow them to experience Chiang Mai’s culture firsthand. These activities include visits to elephant jungle sanctuaries, temple visits, bike riding through different scenery and more. To top it off, The Dawn provides a unique experience through their weekly special guests. Each week, The Dawn hosts people who are leaders in their field of expertise including famous chefs, meditation experts, alternative medicine specialists and even traditional Thai boxing (Muay Thai) champions. Choosing to get help may not be easy, but it is the best thing that you can do. If you or someone you know is facing a problem with addiction, it is time to get help. Contact The Dawn to find out more about our programmes or to get help today.